We’ve talked to Emily Barker before in these pages and in 2013 she told us about her last solo album Dear River, a collection of songs about her native Australia. 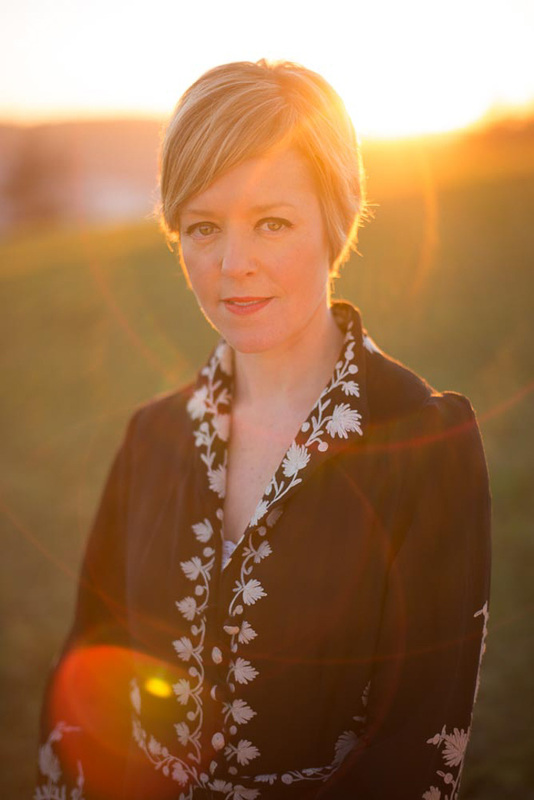 She has worked on a number of collaborative albums since then including Applewood Road that was mastered for vinyl by Gearbox and led to a UK tour. 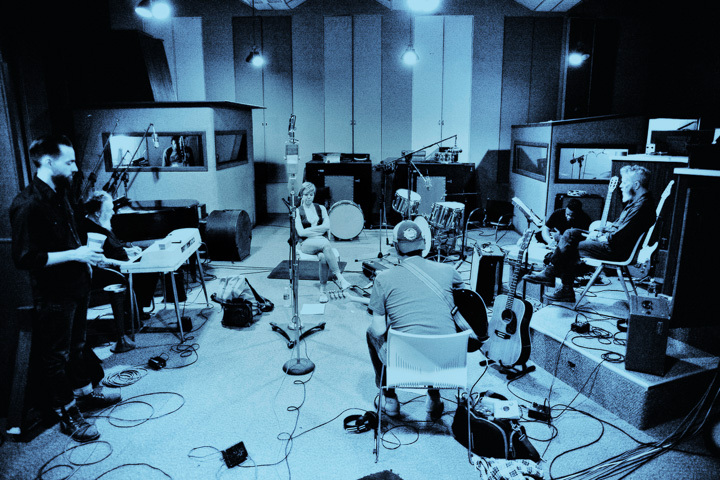 Last year she found herself in the legendary Sam Phillips studios in Memphis with a new producer and a sack full of largely co-written songs that were whittled down to the dozen on her new album A Sweet Kind of Blue, that was released in May. I caught up with her during a brief respite from what seems a hectic touring schedule to find out how the album had come together. EB: That came about from doing the Applewood Road album at 1979 studio in Nashville. I had put the word out to about three big name producers and I couldn’t afford the budget. It wasn’t quite working with their vision and my vision, and then I decided to just ask contacts in Nashville who they thought was up and coming, and I asked Chris Mara at 1979 who he thought was a hot shot, and straight away he gave me one name, Matt Ross-Spang. He introduced me and I got in touch and sent him the Toe Rag Sessions because he had said that he was a fan of that studio, and I sent him a few demos and he hipped up on what was a more blues and soul style of writing. Him being from Memphis he picked up on that and invited me to come and meet him. I was over doing some Applewood Road shows so drove over to a building called Sam Phillips Recording Service, and I hadn’t heard of it and couldn’t find any information about it. They were having some renovations done at the time and I couldn’t work out where the entrance was to the building, so I ended up going up the fire escape and coming down through all these strange offices that were just full off lots of Sun memorabilia and framed certificates and old Sun vinyl labels. It looked like the place where records get sent out from, just like the sixties; I was wondering what I was in. There were just a few workers around and lots of plastic sheeting, I couldn’t get my bearings, I thought it might be a radio station. Then I opened another door and suddenly I was in this huge room, which was Studio A and there was Matt with Rick Steff the piano player. And I met them in this epic room. We did a couple of days pre-production and Matt said “How do you feel about doing a record here?” It was a no brainer! Sam Phillips designed the entire building himself and it was incredibly colourful with all sorts of pastels, like 1958. His son describes it as looking into Sam Phillips’ brain; the studio just has this incredible feel to it. In the early sixties, Sam stepped away from producing records; his two sons Knox and Jerry carried on but it never really took off, so it’s got this feel of being really grandiose in its design, and that nothing has changed since the sixties. There are rooms full of old microphones and amps, cutting lathes, and tape machines, that just haven’t been used. The doors were always open but Memphis fell, the limelight shifted, its peak was fifties rock and roll and Stax, then soul and disco in the seventies, but since the late seventies it’s not had glory days again. You’re going to put it back on the map! Yeah (laughs), you know when you get that sense that a place is about to happen? It really felt like that. Matt Ross-Spang was an engineer at Sun, he started working there when he was 16 because he fell in love with it. He learnt by staying after school and watching the engineers in the evenings. They’re closed during the day to musicians; it’s a museum. Does it have a particular sound? There’s definitely a warmth to it. There was something about the energy of the room itself, it’s to do with the history, the fact that the doors are properly open and inviting, they’re pushing the studio now so all the musicians I worked with they’re all Memphis legends who are mostly in their fifties and sixties and they hadn’t been there for a long time or had only heard about it. For them it felt like a really special thing. Everyone was so honoured to be there. They were all piecing together the bits of stories that they had from other musicians or songwriters. Rick Steff’s dad was in Elvis’ band, one of the horn section. You weren’t overwhelmed by it all? I was definitely overwhelmed, totally. Sam Phillips’ office is just upstairs and it looks like he stepped out from the red shagpile carpet and white vinyl seating! Everything is just as it was, frozen in time. I felt completely undeserving – who am I? I felt like I’d been given the key to the secret heart of Memphis. It was amazing. I see you’ve written quite a lot of songs with other musicians. Mostly I’ve written on my own but when I started going to Nashville they have a culture there of co-writing; it’s a really casual thing to do. For me song writing was always a bit of an introverted, private thing, but people just started asking me to co-write, what! I really enjoyed it, it was really interesting seeing how other people worked, techniques and, it sounds obvious, but you both come out of a co-writing session with a song that neither of you would have written on your own. It’s quite a special thing. Apart from projects like Vena Portae, Applewood Road, and the Toe-Rag Sessions I haven’t done a solo album since Dear River so there’s been quite a lot of time to write. I’d written like about 50 songs for the album, quite a few were with other people and we sifted through them and Matt picked out the ones he thought would work. I see several were written with Boo Hewerdine. Why does that name ring a bell? He was in The Bible and he’s written a lot with Eddi Reader and Kris Drever from Lau. Boo is based here. He’s a Brit, most of the co-writers are British. Matt chose the musicians that he thought would work well together; this is a really big difference for me but it’s common in Memphis. That is one of the biggest decisions, who to get in. Then everything happens from there, on the floor in the studio just before you’re about to record it. I would play my song on guitar or piano to everybody and the bass player, there’s quite a lot of songs with a groove, and the bass player would say “OK, what’s the groove on this?” That was really good fun to do, everybody was so open, no egos, they’re just there to play the song and work out the best way of presenting it. We would work it all out on the spot and then record it straight to tape. The core band was recorded live direct to tape, the drummer, bass player, keys, and the guitarist, and I would play guitar too. Then we had overdubs the next couple of days. We had a string quartet come in, backing vocalists and horn players. Quite a big production really, you didn’t have to fund this did you? Yeah I did and its been a big investment. I was incredibly broke all last year and still am. This is on my label via a distribution centre called Kartel. I notice you are quite keen on Sister Rosetta Tharpe. I’ve been a fan for a while. I read her biography, Shout Sister Shout, it was such a tragic story. She was very famous in the forties, and a huge influence on the rock’n’roll movement. Elvis and Johnny Cash cite her as being one of their greatest influences. But she was forgotten about and ended up being buried in an unmarked grave in Philadelphia; it was all really strange. Because she was black and because she was a woman she never became the icon that she deserved to be, so the song is about that and it’s sung from the point of view of her best friend Marie Knight, who was also a gospel singer. 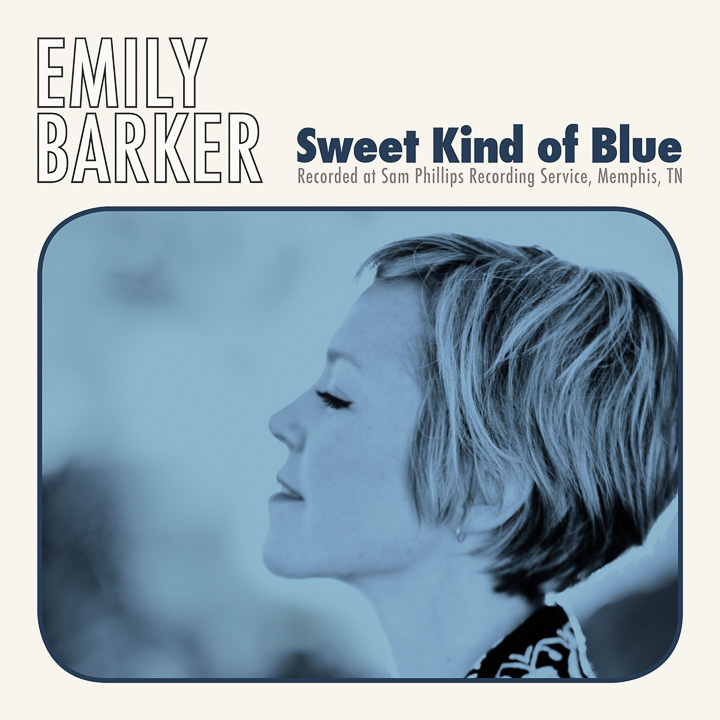 Sweet Kind of Blue is out now on Everyone Sang.